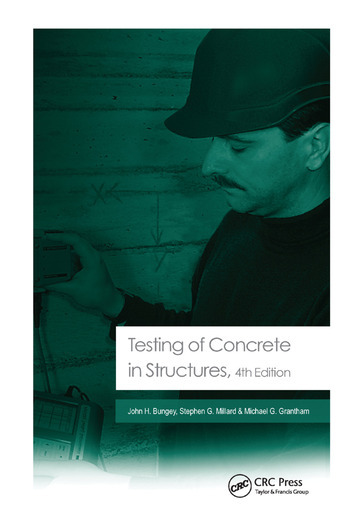 Providing a comprehensive overview of the techniques involved in testing concrete in structures, Testing of Concrete in Structures discusses both established techniques and new methods, showing potential for future development, and documenting them with illustrative examples. Topics have been expanded where significant advances have taken place in the field, for example integrity assessment, sub-surface radar, corrosion assessment and localized dynamic response tests. This fourth edition also covers the new trends in equipment and procedures, such as the continuation of general moves to automate test methods and developments in digital technology and the growing importance of performance monitoring, and includes new and updated references to standards. The non-specialist civil engineer involved in assessment, repair or maintenance of concrete structures will find this a thorough update. Professor John Bungey is Emeritus Professor of Civil Engineering at the Department of Engineering, University of Liverpool. Dr Steve Millard is a Reader in Civil Engineering at the Department of Engineering, University of Liverpool. Michael Grantham is the Director of G.R. Technologie Ltd and works as a consultant for M.G. Associates Construction Consultancy Ltd.